Posted on März 20, 2013 by Felix B. One of the first tasks for the Floribot project is the creation of a new worldmap for the virtual environment ROS stage. 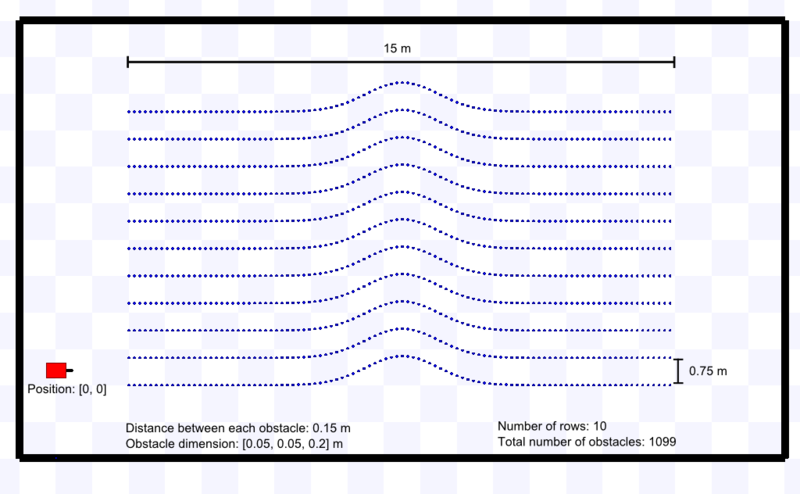 The map follows the rules of the Task 1 2013. This entry was posted in Software by Felix B.. Bookmark the permalink. thx for the new Task1 map. Can you please change the distance between the plants (not between the rows) to 45 cm. Source for “plantdistance” is wikipedia “Sonneblume”. So there is less amount of plants, buts its closer to reallity. again i need another Tast1 World for a simulation. Maybe you can give it the name Task1_pfm.world. The attributes should be the same.. only the distance between the plants should now be 5 cm or less. Hope you can push it to Git soon.